We love jazz. We love contemporary jazz and its wild excursions to other genres. We have ears pricked up and whenever we hear something fresh, courageous and innovative, not yet heard within the Czech jazz scene, we strive to deliver it. We have been enriching jazz culture in the Czech Republic since 2008.
both foreign and domestic talents of the contemporary jazz and experimental scene. 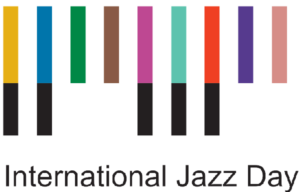 Since 2008, Mladí ladí jazz has been organized in Prague and selected regions of the Czech Republic. young Czech and foreign jazz musicians. As part of the festival, we hold an international Jazz Fruit contest for young jazz bands awarding the winner with a chance to record a professional album. We also provide professional musicians with workshops led by foreign lecturers. to the youngest generation. We organize unique jazz workshops for children, led by Oran Etkin, an American composer, clarinettist and Grammy Award winner. We hold a year-round club series of beyond-jazz musical journeys every last Wednesday of each month, except for summer. The loose dramaturgy allows for a diverse range of musical styles, from those coming out of jazz to those containing only trace elements of jazz DNA.